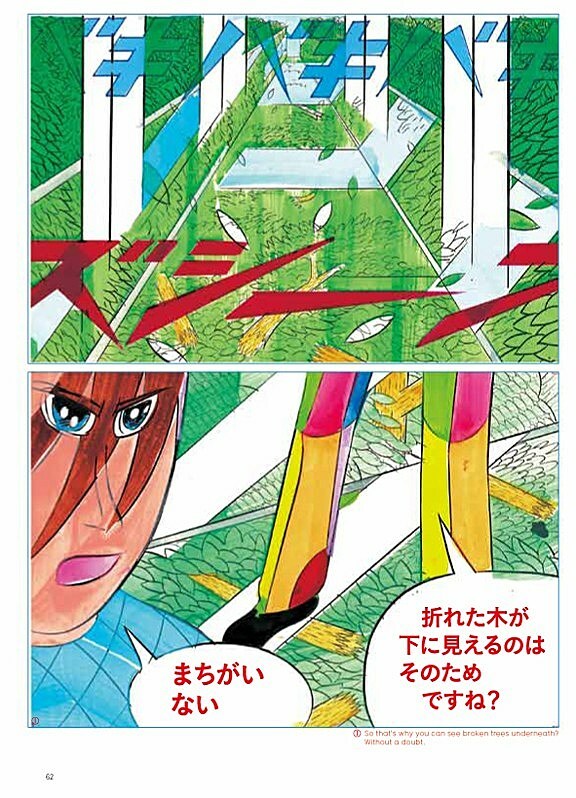 Like the act of reading his wonderful comics, the act of interviewing the manga-ka Yuichi Yokoyama, the most talented and exciting cartoonist working in any country today, is harder than it sounds. As someone who lives 6,000 miles away and speaks a completely different language, the process is a byzantine one. 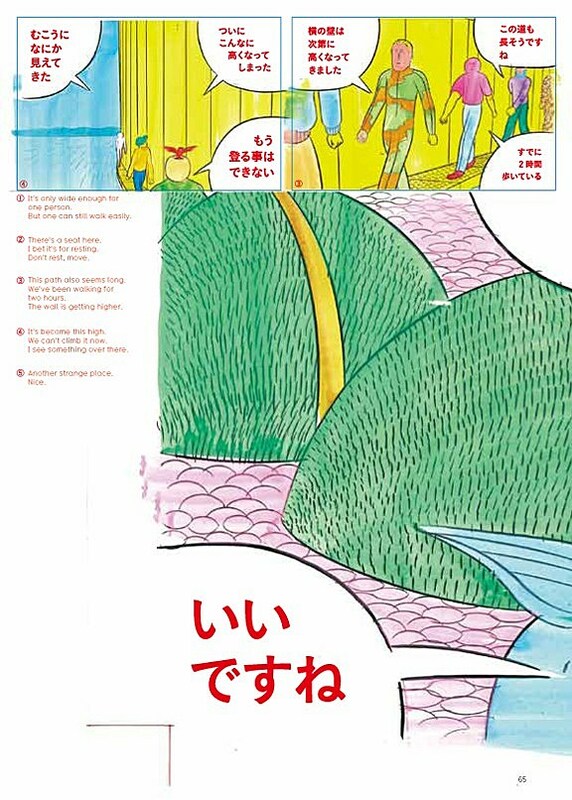 The reason I mention the travails of interviewing Yokoyama is because the element of labor involved in the doing of it is so very similar to the work one needs to put in to read his comics. 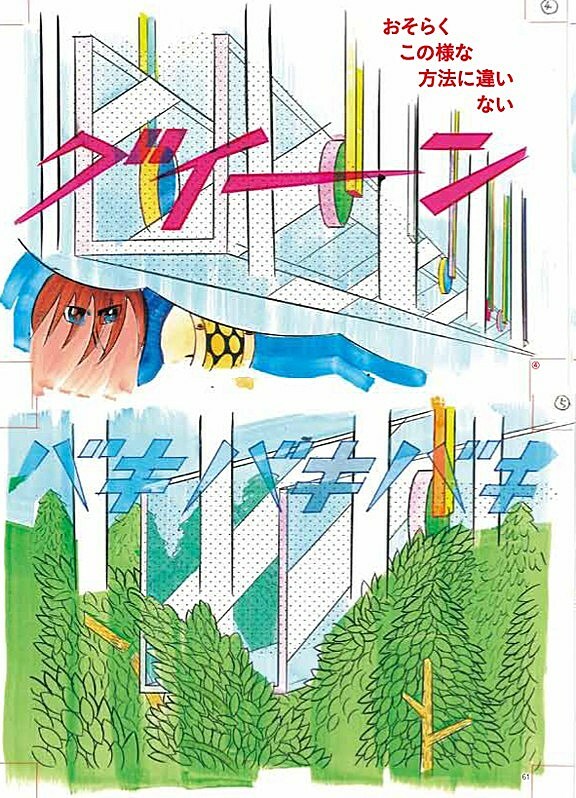 Yokoyama's comics exist, and they are brilliant, and that is all: His work rarely, if ever, makes concessions to the reader's comfort. The figurative drawings contained in Yokoyama's panels are both as interesting and as easy to contemplate as abstract art, whether it's in the complex intersections of the pinpoint-accurate lines in his black-and-white work or the luminous smeariness of his color comics, there's always a heavy layer of visual noise thrown over the content. There's plenty to be looked past -- or more accurately, looked through -- in order to grasp any subjective meaning from Yokoyama, and that is the pleasure of reading him. 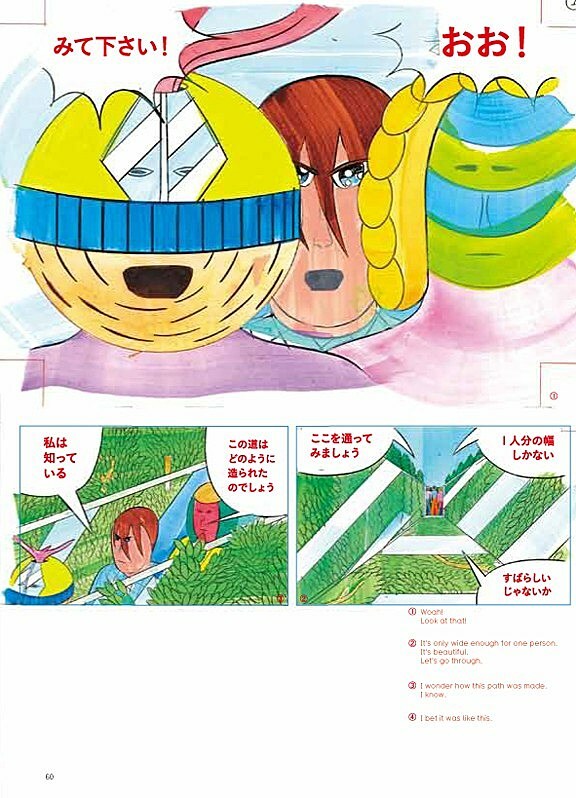 Though he works in a dizzying variety of styles and media, the lowest common denominator of Yokoyama's comics is that they are always pure ocular input as much as stories. When you get to the stories, though, they are unlike anything else. No less than three Yokoyama books became available to American readers this year through Picturebox, and each one was a revelation. The black-and-white Garden brought high experimentalism to lit-comics, chronicling a massive group of travelers' emergence from nothingness into a vast landscape of baffling earthworks and architecture that contains a subtle history of mankind's technological development; Baby Boom, a sadly untranslated series of marker-drawn vignettes centered around the beauty of childhood, radiated a nearly heartbreaking joy in everyday moments, and Color Engineering, a visually overwhelming collection of mixed-media shorts. Engineering returns to stories of re-terraformed environments, an old Yokoyama theme, in order to discard his usual focus on story altogether and create a suite of comics that glory in the sublime beauty of substance on page: color, line, and the fascinating things they can do when they are combined in sequences of panels. 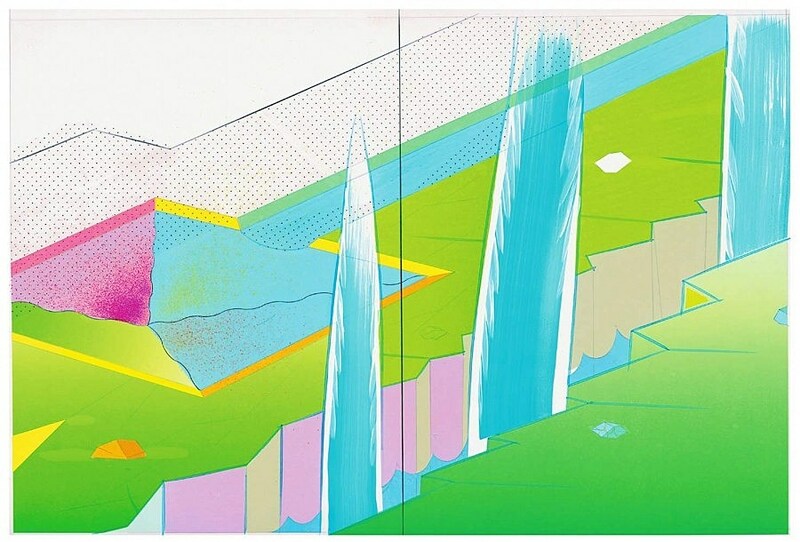 Yokoyama's work comes back again and again to the subject of massive, unfathomable, often unmanned machines creating the enigmatic terrain of tomorrow's world; it is not hard to imagine that somewhere in these stories is a machine churning out tomorrow's comics. And of course, there is: His name is on the cover. 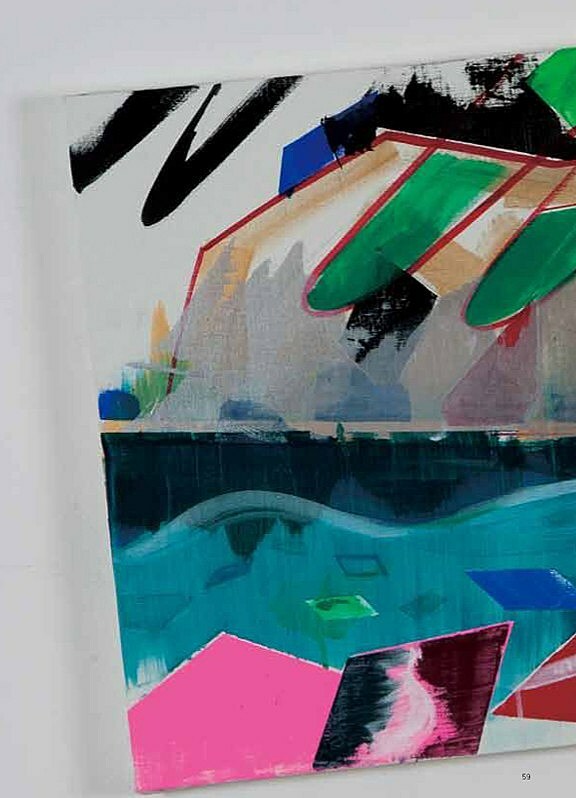 Much has been made of Yokoyama's Warholian, straight-to-the-point persona, the unflappable exterior these fully-formed, wildly imaginative comics somehow emerge from. I'd spent months pondering what I'd ask if I ever got a chance to interview him and see how dig deep as into Yokoyama I could dig. The answer is: not very far, but the answers, as with everything Yokoyama does, are fascinating. ComicsAlliance: It always seems like your work is both speculating about things that might happen in the future and simply telling fantastic stories. How much of it is prediction and how much is fantasy? 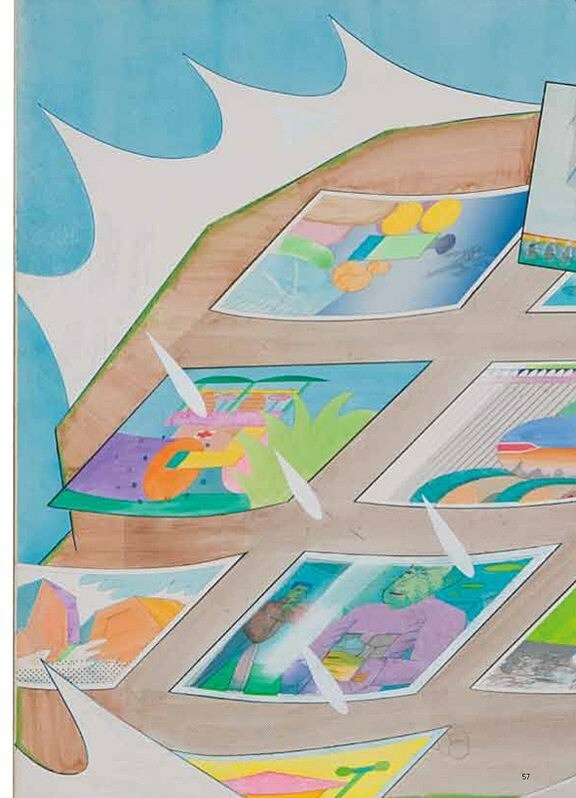 Yuichi Yokoyama: All of my works are prediction. CA: Do you ever want to literalize the things you put in your comics by doing work in architecture or fashion? Or do you want your ideas to stay on the page? Yokoyama: Yes, sometimes I would like to build these buildings and shapes myself, or make the fashion designs into clothes. CA: Do you feel your comics are particularly significant of Japanese culture, either in terms of echoing it or pushing back against it? Yokoyama: I preserve Japanese and Eastern culture in my comics, but I haven't given them any influences [as far as cultural dissent or validation]. CA: From what I understand, Japanese culture incorporates high levels of both conformism and individuality. Do you think your work emphasizes one or the other? 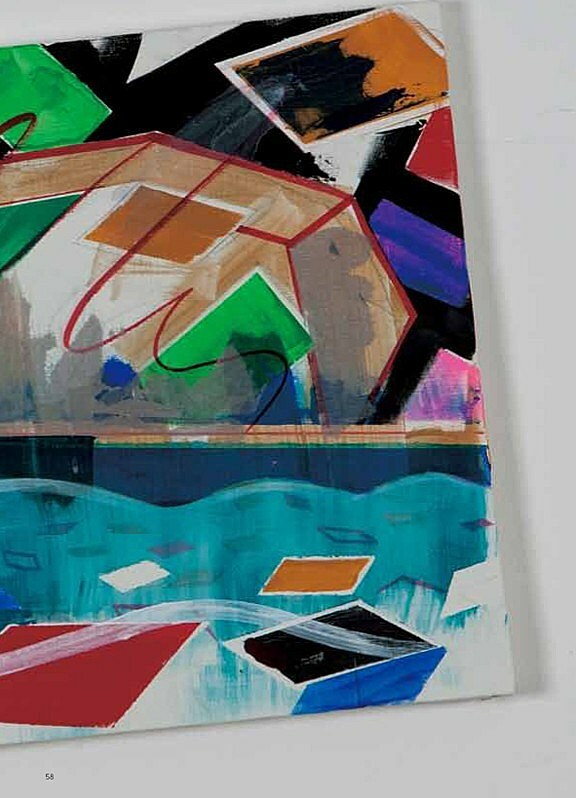 Yokoyama: I think my work emphasizes both aspects. CA: Did you read a lot of comics before deciding to draw them yourself? Yokoyama: No, I had little occasion to read other comics. CA: I'm especially interested in your interactions with American comics. A lot of people have commented on your art's similarity to Jack Kirby; has he influenced you at all? Yokoyama: Unfortunately, I am interested in neither American comics nor other countries' comics. CA: Are there any cartoonists making work right now that you feel inspired or influenced by? Yokoyama: No, I don't have such cartoonists. CA: I know you worked as a painter before you began doing comics. What made you want to try a different art form? 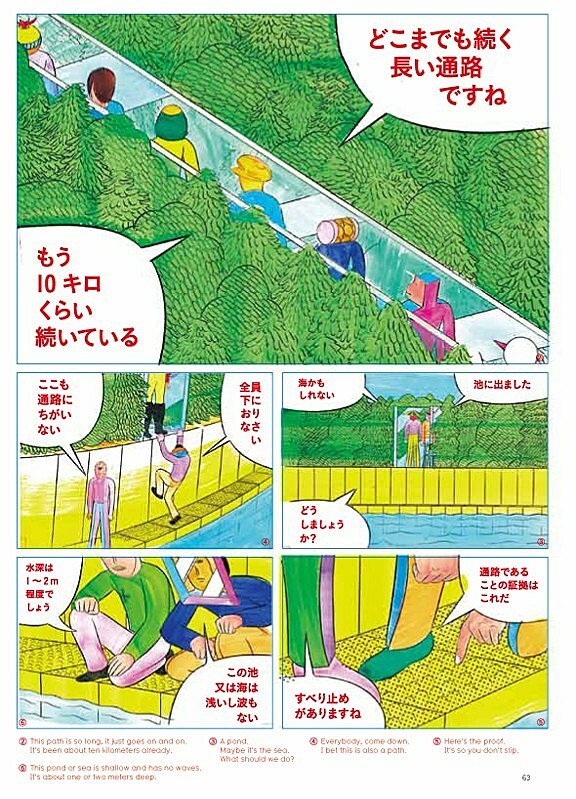 Yokoyama: I started making comics because consecutive scenes of cartoons allowed me to put more frequency and detailed "information" and "time" in cartoons than one painting. CA: In some of the work published in Color Engineering, you've brought paint into your comics. What did you want from those pieces that you got from using paint in them? 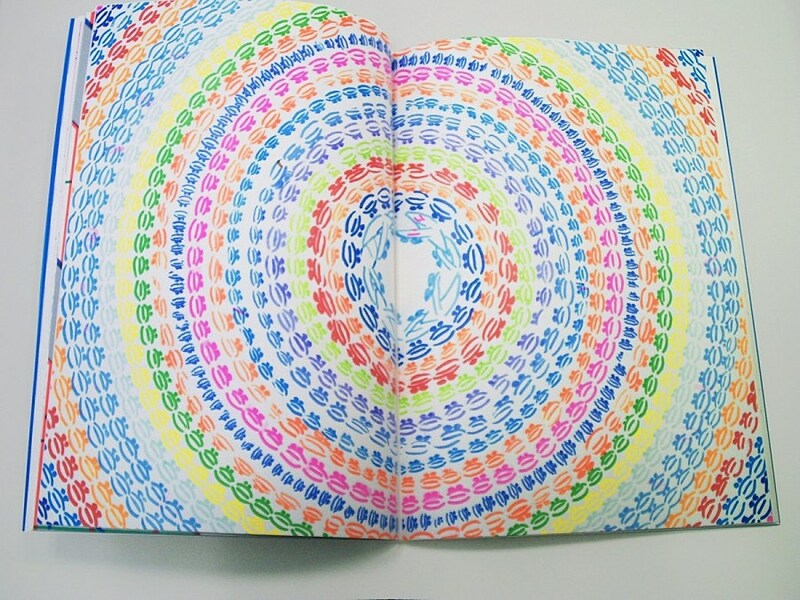 Yokoyama: I wanted to make experiments and see the effects of coloring. I didn't intend to have any other special effects. CA: The color comics in Baby Boom and Color Engineering feel very spontaneous, while your black and white comics are a lot more precise. What do you like about working in color, and what do you like about working in black and white? 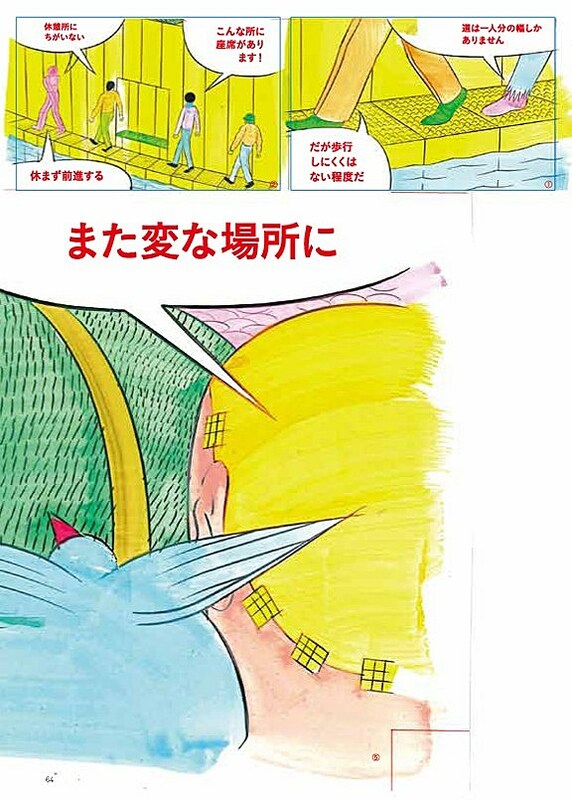 Yokoyama: I enjoy drawing color comics. I enjoy seeing black and white comics. CA: Your comics are often about technological expansion. Would you ever want to make a comic using digital tools? 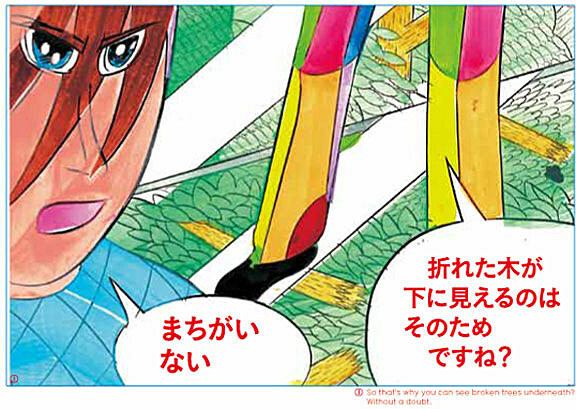 Yokoyama: My current style of making cartoons is the only way I can do it, and the only way I like. I don't want to make a comic using digital tools. CA: You've talked before about wanting to make work that avoided humanism, but you seem to have embraced the human to a pretty large degree in Baby Boom. Do you think your newer work is more human than books like New Engineering and Travel? Yokoyama: Yes, some comics such as Baby Boom are human. CA: Do you think using color contributes to a sense of the human? 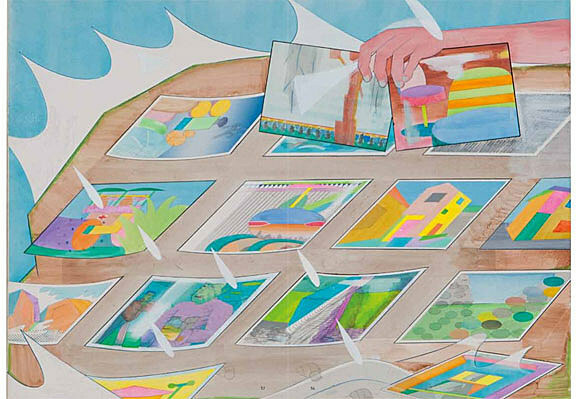 Yokoyama: No, I don't think using color makes any contribution to a sense of humanity. CA: There's a poetic quality to your comics, but it comes entirely from the drawings. The words are very literal. Would you ever like to write a comic that used more poetic language? Yokoyama: I don't want to depend on the quality of words and dialogue, because we can never have a perfect translation to foreign languages. Words and dialogue are not universal. 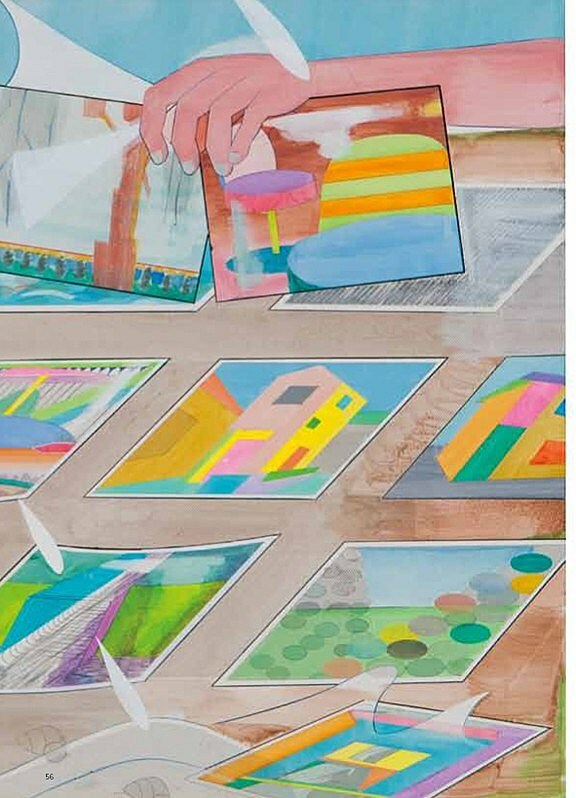 CA: Both Garden and Color Engineering end with sections that function like afterwords, following up on ideas raised by the narrative after it's reached its logical conclusion. Do you prefer this style of closing a book to a more typical "ending"? Yokoyama: Yes, I like this way, but I can finish my comics without any [afterword]. This way is just for my fun. CA: I used to think of your Engineering pieces as very frightening because all the machines' action goes unexplained, but now I find myself more in awe of them. I see the machines as being like divine creatures. Is there an emotional response you'd like your comics to produce in the people who read them? Yokoyama: Thank you. I am happy to hear you respond like that. I would like each reader to construe my works freely. CA: It seems to me that the dialogue about humanism and its absence in your comics ignores the spiritual. Do you think there's a spiritual aspect to your work? Yokoyama: My dialogue doesn't have humanism, but it has the spiritual. However, on the other hand, you can see they are without the spiritual. It is up to each reader's interpretation.